For more than a decade, St. Peter Central Catholic Elementary School has hosted educators from throughout the United States as a demonstration site for Wilson Language Training®, a nationally recognized provider of multisensory structured literacy programs. 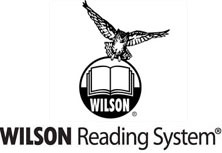 In this capacity, we welcome visitors from schools, districts, and literacy centers, who come to observe best practices that support the highest fidelity of implementation of the Wilson Reading System®, Fundations®, and Just Words®. Additionally, SPCC served as a Wilson pilot school in the early 2000s during the development of Fundations, an early literacy and Tier 1 intervention program for grades K-3. We also piloted Wilson’s Just Words, a Tier 2 intervention program for grades 4 and above. St. Peter Central Catholic was chosen as one of three schools to participate in the 6th cohort of the Worcester Polytechnic Institute (WPI) STEM Education Center’s year-long, intensive STEM Integration for Education Leaders professional development program. The STEM Integration program, now entering its 7th year, is designed to provide customized guidance to schools and districts in creating a strategic plan to implement new Science, Technology, Engineering, and Mathematics (STEM) curricula and to foster effective STEM teaching and learning. As a STEM Integration for Education Leaders participant, SPCC is receiving individualized coaching and support from WPI staff, mentor schools/districts, and business and industry leaders on developing STEM goals, analyzing STEM needs, and identifying funding opportunities. As a participant selected for this competitive program, our school has committed to a rigorous process which includes a summer institute and 6-7 sessions throughout the school year during which our school’s team of core STEM teacher-leaders receive assignments and activities to conduct with the larger school community. The goal of the program is for us to receive specialized training in best practices in STEM so that we can craft our own vision and strategic goals for the future. Saint Peter Central Catholic has decided to call our current initiative STREAM (Science, Technology, Religion, Engineering, Arts and Math) as we are incorporating both religion and art in addition to the traditional STEM disciplines. Stay tuned for more information and updates as our STREAM plans take shape. We are excited to have this opportunity to receive this unique training from a top-notch research university in our community so that we can offer high quality STREAM learning experiences for current and future SPCC students.